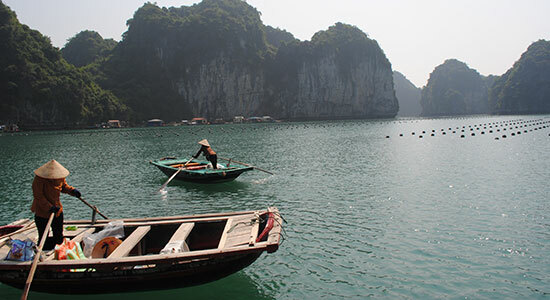 Connecting the first link in the seafood supply chain. In order to trace our seafood back to the source and gather the necessary data to ensure it is safe, legal and sustainable we need to connect directly with those at the point of harvest. While many traceability solutions begin with downstream actors in the supply chain, mFish is a tool specifically designed to capture data at the first link — from the fishers and aquaculture practitioners who initially catch and harvest our seafood. Because of this we can gather more accurate and relevant data about seafood from the time of harvest, along with capturing more informative data that will better validate the methods in which our seafood is harvested. Many of the world’s fishers with lack access to, or awareness of, vital information such as weather data, fish prices at port, fish handling and safety best practices, and other useful content that can boost their profitability and improve their livelihoods. 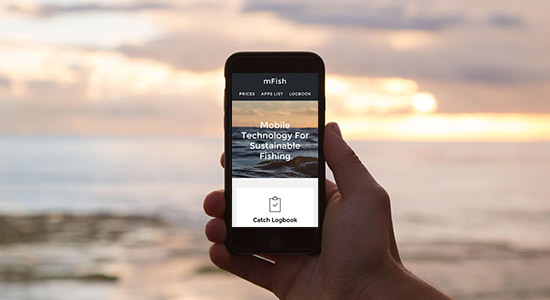 mFish is built not only to capture data, but to aggregate and distribute useful content to fishers around the world helping them to be more sustainable in their methods and as a small enterprise. The bulk of the world’s fishers are living at the base of the economic pyramid with limited access to broadband data and either a basic smartphone (at best), or a feature phone as their means for accessing broadband content. Because of this we designed mFish specifically with accessibility in mind. mFish is available on Google Play, Facebook’s Free Basics, and even as a browser based mobile website. It is accessible in multiple languages using minimal data on any device with a basic web browser. From the beginning mFish was designed to be more than a tool for data capture, but a resource for independent smallholder fishers. Our goal is to provide fishers with the content they need to make better decisions to decrease their time at sea and reduce fuel costs so that more of their income can remain in their pockets. The mFish initiative was originally sponsored by the US State Department and announced by Secretary of State John Kerry at the first Our Ocean Conference in order to promote sustainability and responsible practices amongst artisanal fishers around the world.